As described in previous posts, the July,1836 actions against Indians in this immediate area (Skirmish at William Parker’s Place and the Battle of Brushy Creek) were preceded and somewhat precipitated by the Indian uprising at Roanoke, GA (May 15, 1836) and the Battle of Chickasawhatchee Swamp (June 3, 1836). In August, 1836 subsequent local actions were fought along Warrior Creek, Little River, Alapaha River and at Cow Creek. Levi J. Knight, and other pioneer settlers of Berrien and Lowndes counties, participated in these actions. Sir – After your departure from Baker county, I continued to scour the swamp and executed the order left by you, for the removal of the troops to the head of Spring creek. Captain [Michael] Hentz’s in obedience to your order, charging him specially with reduction of the Indians fought by me on the fifth of this month, continued his pursuit of their trail to Flint river, where they crossed, near Newton. He sent me back an express stating the fact. In the mean time, I had the same day I received the express from Hentz, before the express arrived, gone in company with Mr. Tompkins and Howard of Baker county, and a considerable number of my own men, and pursued the trail of the Indians from near my battle ground, to where they crossed Spring creek, near where it runs into Chickasahatchie; we found the trail so much larger than we expected, that all expressed astonishment at the fact, that I should have believed I fought only sixty or eighty Indians, as you recollect I verbally reported to you at the time. Who could have induced you to think, general, that there were only fifteen or twenty? I cannot imagine, or is it a matter of any moment. I only mention the fact to correct it, believing as I do, that you would be gratified to know the truth. I requested Mr. Tompkins, Howard, and Greer, with others, to count the principal entering places of the trail as the Indians went into the creek, and there were twelve different trails of at least an average of ten track to a trail, where they crossed. Convinced of the fact, that Hentz was pursuing a body of Indians he could not conquer, I at once determined to follow him and overtake him if possible, although he had been gone several days. On my return to camp, and while I was stating the facts to my officers, his express arrived; it was near night. I issued my order for captains Greer and [Robert H.] Sledge, to prepare to march early next morning. They done so. We set off on the tenth of this month, went thirty-five miles that night to West’s, near where the Indians had robbed a house on the line of Baker and Thomas counties: here we were joined by captain Everett and his company from Decatur county. We could get no pilot. There were but few people living in the settlement. Mr. West was so much alarmed, he could not tell us the way to his son-in-law’s house, two miles off, the one that was robbed. We started on the eleventh [Aug 11, 1836], as early as we could see, and found our way to the house. – Here we took the trail of a company of horsemen, who had gone up north, to a station, instead of Hentz’s trail, and went twenty miles out of our way. Finding we were wrong, and fearing we should not be able to right ourselves in time to overtake Hentz, I ordered captain Sledge to return to camp Alford. With captains Greer and Everett, and their companies, we took the general course of the Indians, and fortunately landed at night in half a mile of the right trail, but unfortunately only ten miles from where we started; here we camped at a deep steep creek, which I called camp Greer, in honor of my officer, who had that day, when the hope of overtaking the Indians was very faint, still resolved to follow me, if I continued to go ahead. Hentz was a long ways ahead, but so soon as the sign was right, we pursued him with all possible speed. On the 12th we passed two of the Indian camps and several large creeks, the head waters of the Oakalockney [Ochlockonee] and the Okapilca [Okapilco]; joined today by captain Newman and his company from Thomas county. Force increasing, trail warm, men ardent, all anxious for battle. About 3 o’clock in the evening, we saw before us, a house with many people all seemed to be greatly excited; at our approach and when we were still far off, I mentioned to our boys, that from the strange appearance of things all was not right; we galloped up, and the first to salute us was one of captain Hentz’s men, badly wounded. He informed us, that at eleven o’clock that day, they had attacked the enemy in a branch and had been compelled to retreat: the battle ground was four miles off, and captain Hentz, after being reinforced, had gone back about two hours, to try it again. — Hentz’s defeat, with the sight of his wounded men, created a great sensation in our ranks.– All the men and officers manifested the most ardent wish to retrieve the fortunes of the day and punish the enemy; we strained our horses to the battle ground; the Indians had gone and Hentz after them; we pursued them till night, camped at Fulsom’s [James Folsom’s Place]; heard of Hentz two miles ahead. After we camped, I procured a pilot and found his camp — his men manifested great joy at my arrival, and truly, general, if there was any fight in me, I felt it then. The cowards that had refused to fight that day, had all run home, and here were a few brave fellow encamped near the enemy, mortified at defeat, swearing they would whip the enemy or die in the attempt; the citizens who had joined them in the day, had left them at night; it was now dark and getting late in the night. I ordered them to remain in the morning, until I came up, and returned to my camp. The story of the fight is easily told. The Indians seeing they would be overtaken by captain Hentz, had formed an extended line in a small branch swamp, where two branches ran together, making a narrow swamp of thick bushes, nearly in the shape of a half circle, with an one pine woods to enter it. The line, if straight, would (in the language of all that gave an opinion) have been at least five hundred yards long: of course, as is usual with them, they were in open order to extend their flanks. Their number of warriors must have been at least eighty strong, with the advantage of the cover of the branch swamp, their pick of the ground and superior numbers. That portion of captain Hentz’s company that would fight, could not maintain their ground. — The brave Tinsley, (our pilot in Chickasahatchie, [Chickasawhatchee Swamp] and those that fought with him, were compelled to retreat, after having five men badly wounded. Their number was about thirty, as well as I could learn, and I would mention every name if I could do so, without leaving out any, but I do not know them all, and therefore had better not undertake it, least some brave fellow might have his feelings wounded, by not being known. The balance of the command run and never came back. At three o’clock on the 13th, I was on my horse, with my command; we came up to Hentz’s command before light, on the banks of the Withlacoochy [Withlacoochee River] proper, here called Little river, the eastern branch being called Withlacoochy improperly, (see map of Georgia,) I kept my command in the rear some distance, and so soon as we could see the trail, sent Hentz’s company in pursuit, hoping the Indians would recognize them, and not seeing us, would fight again — we followed near enough to be ready in that event to help. The night before, the enemy had crossed the river, killed two beeves and recrossed and camped on the same side with Hentz, in the river swamp; we of course lost much time in trailing them, on their fox like chase. About ten o’clock, we received news of them going down the river on the west side; we strained off after them, crossed at a bridge where they had just passed. Several companies had now joined us, (to wit.) captains Night [Levi J. Knight], [John J.] Pike, [Benjamin] Grantham, Burnett and many citizens without officers. The people of Lowndes and Thomas counties, are a gallant set of men, and acted most promptly indeed, submitted themselves to my command most cheerfully, and acted with us like good citizens ought to do, when their country is invaded. Major [Enoch] Hall and [Henry S.] Strickland and colonel [Henry] Blair of Lowndes county was in the field. The pursuit was bold and impetuous. The Indians entered the river swamp about four miles below the bridge, where it is wide and deep; not knowing our ground, we followed on horseback, on the trail made by their horses, (the had stolen three horses the night before the battle with Hentz, and captured eight from his company in the fight.) The Indians crossed the Withlacoochy [Withlacoochee] in the swamp, where there was no ford; so did we. Maj. Com. 3d Battalion mounted men. About 1827 Levi J. Knight and his new bride Ann Herrin Clements homesteaded on land on Beaverdam Creek, near the present day site of Ray City, GA. In their first year on Beaverdam Creek, the Knights established a household and prepared to begin a family. The Knight homestead was situated in Lowndes County (present day Berrien County). When the first Superior Court in Lowndes County was convened at Sion Hall’s Inn on the Coffee Road, Levi J. Knight served as foreman of the Grand Jury. At that time, the only post office in Lowndes County (which then encompassed present day Lowndes, Berrien, Cook, Brooks, Lanier, and parts of Tift, Colquitt, and Echols counties) was at the home of Daniel McCranie on the newly opened Coffee Road. When Franklinville, GA became the first town in Lowndes County in 1828, the post office was moved there. Located west of the Withlacoochee River about 9 miles southwest of the Knight property, Franklinville served as the first county seat of Lowndes County and a courthouse of hewn logs was constructed there at a cost of $215. According to Huxford’s “Sketch of the Early History of Lowndes County, Georgia“, Franklinville was a small trading community of one or two stores and a few houses. Hamilton W. Sharpe, a fellow Whig, regarded Franklinville a place of intemperance. Settlers in Lowndes County did most of their trading at Tallahassee, St. Marks or Newport, Florida, or traveled to Centerville on the St. Marys River. Levi J. Knight received power of attorney from his father-in-law, William Clements, of Wayne County, on 19 Nov. 1830, “to appear for him in the Courts in Alabama and to sue for and collect all demands he has against Angus McDonald…” Angus McDonald had served as deputy clerk of the superior court of Wayne County. Georgia. On December 24, 1822 William Clements had put up surety on the $1000 bond of Angus McDonald, guardian of Sidney Pilcher who was the orphan of Harriet Burney. Apparently, Clements had to make good on the surety, and he wanted Levi J. Knight to get his money back. 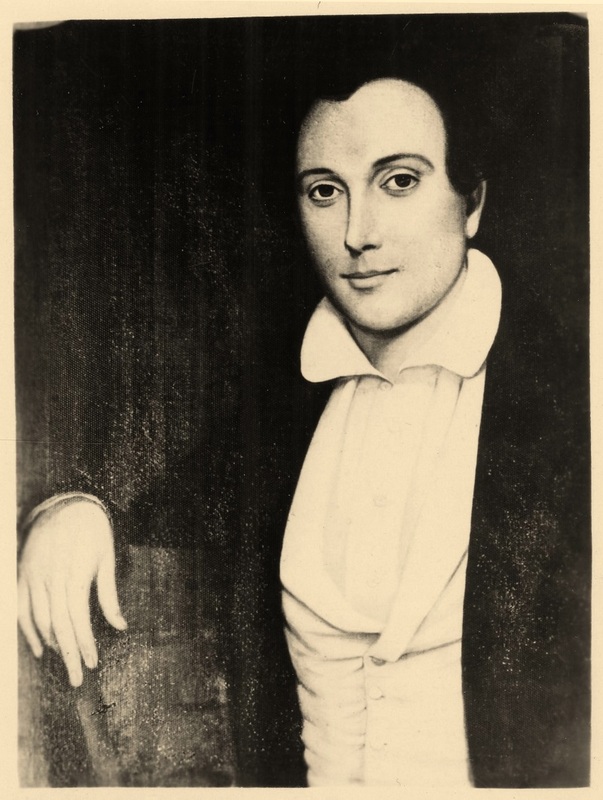 Ann gave birth to their first son, William Washington Knight in 1829. Three more children were born over the next three years; Elizabeth (1830), John G. (1832), and Sarah (1833). During this period Levi J. Knight served out his term (1829-1833) as Justice of the Peace, and returned to his experience as a surveyor, again mapping lands the state had gained from the Indians. As the state surveyor of Cherokee lands, Section 3, District 13, he took field notes recording the distances and points demarcating the district and land lots, land features, roads, and watercourses. These field notes, along with those of other surveyors, were conducted prior to the distribution of lands in the 1832 Land Lotteries in Georgia. Levi J. Knight was Sheriff of Wayne County (1824), Justice of the Peace of Lowndes County (1829-1833), State Senator from Lowndes County (1832, 1834, 1837, 1841). He was Senator from 5th District (1851-1856). He was Justice of the Berrien Inferior Court 1861, and a Delegate to the State Constitutional Convention in 1868. Levi J. Knight or one of his sons occupied a seat in the Georgia General Assembly for a period of forty years. Levi J. Knight was elected to the State Assembly as Senator from Lowndes County in 1832 and 1834. It was in this time that the Whig Party was rising against what was seen as executive excesses of “King Andrew” Jackson. The Whigs favored national development and over time built an unlikely coalition of anti-slavery, pro-slavery, and anti-masonic supporters. Levi J. Knight became a strong supporter of the Whig party and served as the Lowndes delegate to the Whig state conventions on several occasions. In 1835, Levi J. Knight gave the Fourth of July oration at the county courthouse at Franklinville to a large crowd and enthusiastic crowd, “We have come up on the jubilee of our country’s liberty, to honor the day that gave birth to the greatest republic in the world.” The celebration was followed by a banquet with a round of regular toasts to Washington, Jefferson, LaFayette, and to former Georgia Governor, George Michael Troup, as well as some to denounce the excesses of President Andrew Jackson. Some time in the 1830s the Lowndes County center of government moved from Franklinville to the growing settlement of Lowndesville. Located about twenty miles south of the Knight homestead, Lowndesville was near the confluence of the Withlacoochee and Little Rivers. This location was touted by some to become a riverboat landing and the prospect of river transportation was hoped to foster a pioneer boom period for the community, but according to Montgomery M. Folsom that dream was never realized. When the community had grown to about 25 families, the name of the town was changed to Troupville in honor of Georgia Governor George M. Troup. Troup was an outspoken proponent of the State Rights theory, which asserted that individual states were not bound by Federal law. Levi J. Knight and many other pioneers of old Lowndes County were Troup supporters, and in 1834 Levi J. Knight and his father William A. Knight were instrumental in forming the the State Rights Association of Lowndes County, GA. Troupville quickly became the leading town in the region. In Troupville there were stores, hotels, churches, doctors, lawyers, newspapers, entertainment, even a bowling alley. The Knights were among the planters of Lowndes County who made Troupville their center of trade (Map of Old Troupville, GA with Notes on the Residents). In 1836 another daughter was born to the Knights, Mary Adelaide Knight. As a young woman, Mary would become the bride of Thomas M. Ray who, along with her father, founded the original grist mill at Ray City. In the spring of 1836 there were reports and rumors of Indians attacking pioneers in other parts of the state. The Seminole War was brewing… and that summer the original settlers of Ray City, GA were engaged in Indian skirmishes. (1942). History of Lowndes County: Georgia, 1825-1941. Valdosta, Ga.: General James Jackson chapter, D.A.R. Pg 5-6. THE SOUTH GEORGIA HISTORICAL AND GENEALOGICAL QUARTERLY, VOL. 1, JULY 1922, NO. 3, pp. 03-05.OLD RECORDS BOOK “H” OF BONDS, WAYNE COUNTY, GEORGIA, COURT OF ORDINARY, FIRST 77 PAGES. Huxford,F. 1954. Pioneers of Wiregrass Georgia, Volume II, Press of the Patten Publishers, Adel, Georgia, pg 176. Huxford, F. 1975, Pioneers of Wiregrass Georgia, Volume VII, Jesup Sentinel, Jesup, Georgia. pg 226. Huxford, F. 1967. Pioneers of Wiregrass Georgia, Volume V, Herrin’s Print Shop, Waycross, GA. pg 162. Loyless, T. W. (1902). Georgia’s public men 1902-1904. Atlanta, Ga: Byrd Print. Pp 166.